Pros: High level of interaction and several levels of challenges appeal to a wide range of abilities. Cons: Kids who are used to more traditional number sentences may struggle with the advanced levels. 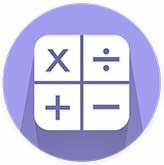 Bottom Line: Fun, innovative math tool engages and helps a variety of learners practice and build fluency.